Global health security lies at the intersection of Europe and Africa, between inherited state-based intervention and a new regional, global approach. Given this, it is vital to redefine health security and it is imperative that this new definition include cross-border populations. Likewise, knowledge exchange in both definitional scope and political and experimental approaches across Africa and beyond is an important contributor to health security in a globalised world. Health insecurities know no borders. In Africa, these include not only infectious diseases, but also non-communicable diseases (NCDs) and a context marked by deficits in treatment provision, guaranteed access, and additional support such as clean water and reliable electricity. Especially as pertains to the realities in Africa, the World Health Organization (WHO) definition of health security is inadequate: first, its prioritisation of ‘national populations’ leaves out non-nationals; second, its reference to the ‘collective health’ of populations across borders fails to clarify this ambiguity; and third, its failure to name who is responsible for health security impedes accountability. Precisely because southern Africa is characterised by both health insecurities and migration, this precludes health security in Africa. This Discussion Paper proposes new parameters for a more comprehensive definition of health security. A new definition should focus on a key aspect of health security particularly relevant for Africa, namely, the need to address migrant populations beyond the binary of citizens or non-citizens. Whether on the move or sedentary, the health of both is intertwined. This leads to the question: how can it be made possible to address the health security of national populations while also enabling access and adequate treatment to people beyond borders? Globalisation and the interconnectedness at its core has never been more apparent. This is true in the arenas of communications, financial transfers and air travel, as well as with regard to climate change, migration and the spread of disease. Health (in)security is a case in point. By relying on Member States, the WHO leaves unresolved who is responsible for populations that do not or cannot claim a nation. Such definitional problems result in policy gaps. As a consequence of the WHO definition and its state-centric approach, health security is and remains a primarily vertical enterprise. On the national level, this means that health security is implemented via a contract between a national state and its citizens. On the bilateral and multilateral level, the contract is between individual nation states, each of which is responsible to its citizens only. Challenges remain. In sub-Saharan Africa (SSA) these can be categorised on the one hand as internal and on the other as external. Internal challenges include the high burden of disease, both communicable and non-communicable, as well as legal, social and structural determinants such as inadequate access to healthcare, refrigeration, water scarcity, and lack of sewage treatment. These are exacerbated by external challenges such as high levels of migration, including brain drain, and legal weaknesses in the form of unconsolidated states leading to incomplete control of disease surveillance and intervention. All of these stressors are exacerbated by migration – of disease and of people. Coping with migration is critical for the future of the continent. An overwhelming number of migrants in Africa are adolescents whose health security is at risk. Using different definitions of ‘adolescent’ and ‘young people,’ UNAIDS estimates 1.3 million, whereas UNICEF estimates 1.48 million are living with HIV. Given that many adolescents and young people are also potential migrants, assurance of healthcare for migratory and sedentary populations everywhere in the region is imperative. Sub-Saharan African states do not have the traditional European luxury of responding to challenges in separate policy spheres (silos), as they almost always have multiple over-lapping crises to address simultaneously. What many sub-Saharan African states do have is experience in cross-border fluidity in terms both of migration and vital, if improvised, access to healthcare. These lessons will become more salient for the region as well as for the world throughout the 21st century. A new responsive definition of health security could be the first step towards conceptualising and adapting the region’s challenges into an opportunity. My proposal renders health security as a “claim of a safe space for health at the population level; a claim that goes beyond the state-citizen contract.” In doing so, health security corrals the state, as well as sub- and supra-state actors, to conceive and implement – and be held accountable – for regional health security. The WHO definition of health security is dependent upon Member State actions to promote, protect and implement health security. While the definition takes into account “populations living across geographical regions and international boundaries”, its focus is first on national populations. Secondly, it does little to explain which populations are to be included outside of national, state-based definitions of populations. It is important to note that health security serves as a buttress against identifiable and identified risks and threats. This provides an opportunity for change as two key proponents of health and human security, Germany and South Africa, both accede to the United Nations Security Council as non-permanent members from 2019-2021. Both countries have significant regional clout to promote and push a new health security agenda at the international scale. South Africa has the added bonus of a decade-plus leadership in niche diplomacy on health. In addition, SADC has launched not only regional protocols on HIV, TB and mental health, but is piloting a project for enabling mobile healthcare access (initially for HIV-positive, long-distance truckers) across the entire region. The southern African experience thus has a chance to serve as a global template. First, European partners, especially new leaders in France and Germany, should open a more direct portal to hear and decide whether and how to respond to requests from across Africa, thus drafting a more receptive “Marshall Plan with Africa” that represents genuine partnership. Second, to allow open access to scientific and political analysis to identify and promote localized best practice to prevention and treatment, as well as to anticipate and prepare for new and re-emerging outbreaks. Third, to share evidence and experience of broadening the definition of health security to include migrants in local and regional health systems, as is being piloted in SADC, at the regional and global levels. Health insecurities know no borders. Globalisation and the interconnectedness at its core has never been more apparent. This is true in the arenas of communications, financial transfers and air travel, as well as with regard to climate change, migration and the spread of disease. Health (in)security is a case in point. Migration is a key internal and external health security challenge on the continent which health security provisions must address. Health security must (a) pertain to the health of populations across borders, resolve who or what is responsible for health security for whom, and (c) be addressed at the local, national, international and global levels. 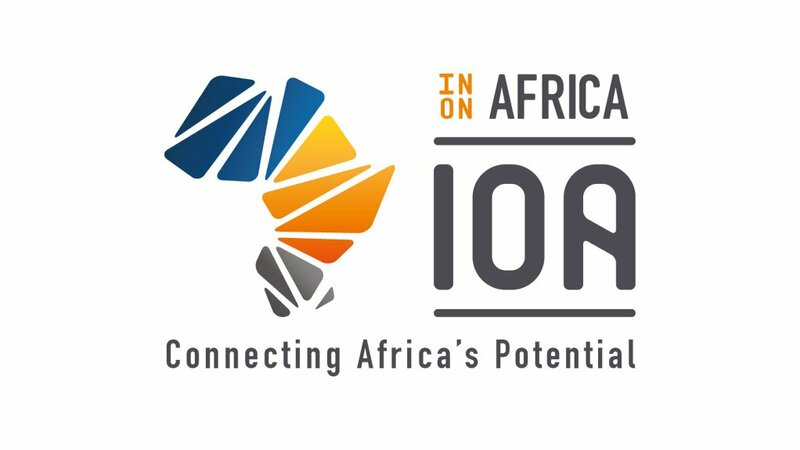 By Annamarie Bindenagel Šehović, In On Africa (IOA) is an Africa-focused research and publishing firm founded in 2007. We have more than 300 expert consultants across the continent and have worked with major multinational corporations, governments and international organisations, covering all sectors and industries. We also publish various reports and position papers on Africa-related topics. For more information on IOA, please find a link to our website: http://www.inonafrica.com/.